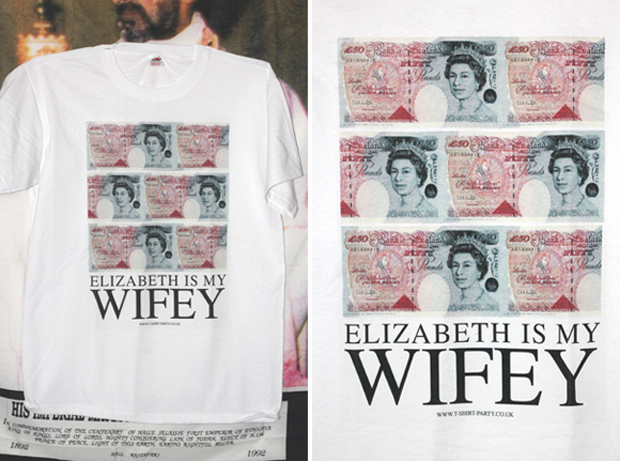 As we near the end of T-Shirt Party‘s year long campaign, we reach release number 43, simply titled ‘Wifey’ an ode to her royal highness, Queen Elizabeth II. You know the drill by now (if not, you can check out some of T-shirt Party’s other work here) – white tee with chest print, this time featuring a repeating print of £50 notes. 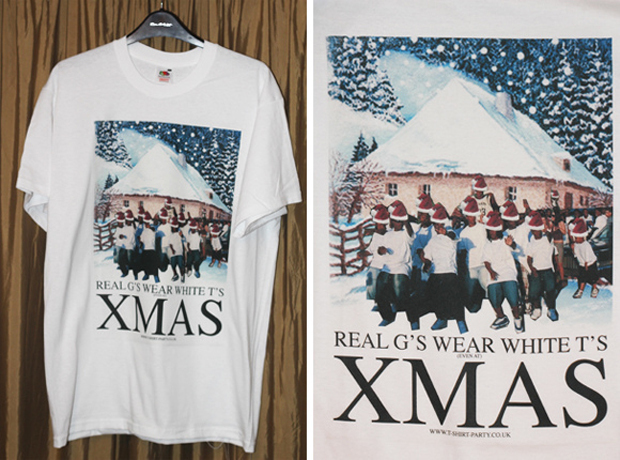 TSP 043 can be yours for only £10, and if you grab a second tee while you’re at it, you’ll also get the awesome Xmas Special absolutely free. Check them out now at T-Shirt Party.